I've updated to the latest version of EShop and was hoping for some additions in there to assist with GDPR. Has anyone had success is implementing these features on EShop using other methods? Thank you for contacting us regarding this. I was aware about GDPR law in the Euro. I have been working about this to add some rules into the EShop. Actually, I have been also collecting some suggestions from my customers about what need to be added exactly. 2. The Interesting Newsletter (when you use Newsletter integration feature): Customers can be only added to the Newsletter if they tick on the checkbox at the checkout. For other things as deleting user account, log the actions, etc. We still need to investigate more because it maybe related to Joomla core. Joomla maybe also do this I think. I will update EShop in the end of next week to include GDPR updates and many new other features. If you or any other ones have other suggestions about GDPR, please post them here so I can check and implement it if it is correct. Great news! A privacy checkbox and link to the article would be a good start. Thank you. Please check my ticket, I send you information to help you in this!. Yes, interested to see what changes are being made? GDPR states that if a website collects, stores or uses personal or special category data, website owners must tell users who they are, why they are collecting data, for how long and who receives it; get clear consent, let users access and export their data, inform users within 72 hours of a breach and let users erase their data. Can users currently login and remove/delete their account? I will continue to collect the suggestion and check more about other items and implement it on the next version of EShop if they are really useful. 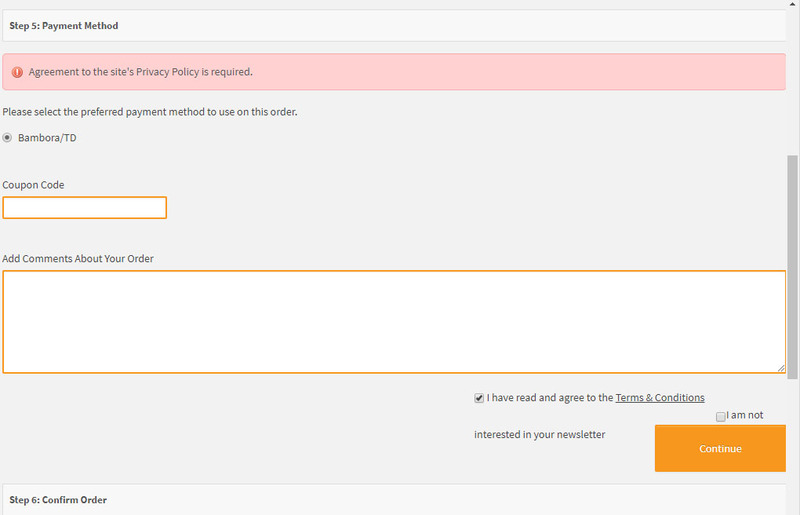 I can't see how to get the Privacy checkbox to show on the forms. The forms throw a warning saying you have not checked the box, but the question is not there. Maybe that because you overwrote to the layout of EShop Checkout. Please submit a new ticket so I can help you to check. Hope to receive your ticket soon.